My dad is awesome. He has a hilariously skewed and unexpected sense of humor. He likes the weirdest movies, and proves it with endless obscure movie quotes that almost no one but his family recognizes. Aziz! Liiiight! But did you know? He’s also an inventor. No, for real. Like, the man has two patents. The guy could have been a mechanical engineer if the sky hadn’t been calling to him since he was a little tyke. Now, this is a hard pill for me to swallow. I’ve spent years, nigh, decades alongside my siblings in our combined pursuit of OMG-Dad-you’re-so-embarrassing. 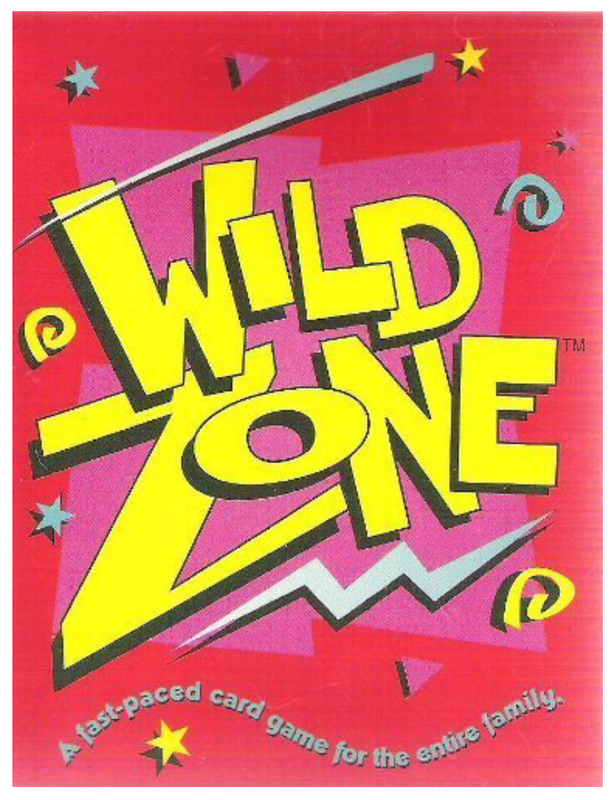 Wild Zone is one of those things we “tolerated.” Almost like how we barely tolerate the super worn-out overalls he deems worthy of wearing in public. Except, the overalls are truly horrifying, and Wild Zone is actually pretty awesome. But of course, we couldn’t admit that. Years and years ago, my dad invented a game. And then he had it made. Made. As in he professionally printed his card game. Then life got busy. Four kids and his profession and all other sorts of life responsibilities took precedence, and so the card games never got sold to stores. They wallowed in storage for a very long time. Then one day, his partner-in-crime decided it was pointless paying the storage fee for years on end, so boxes of card games arrived at our house. LOTS of boxes. 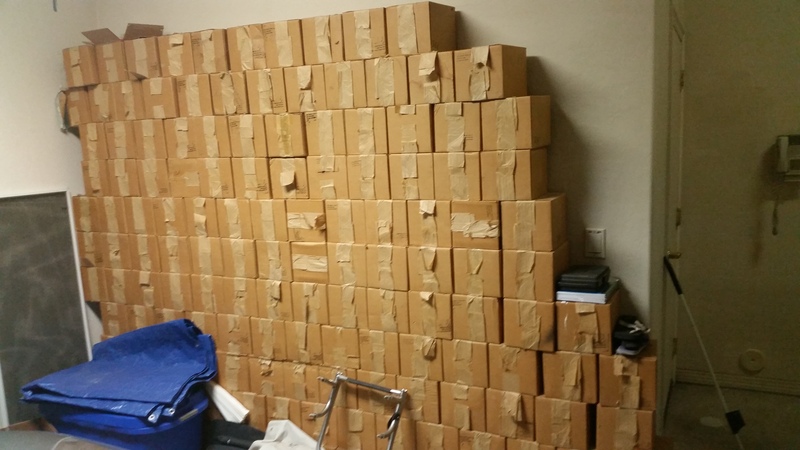 An INCREDIBLE amount of boxes. This is what’s left after a good 10 years of giving away games whenever possible. Inside each box are 48 WILD ZONE!’s. We as a family played a lot of WILD ZONE!. What a gem. Straight outta Zack Morris/Kelly Kapowski early 90’s perfection. Did I mention we have a lot of boxes? Guess what my parents gave out to trick-or-treaters last year? Yep. It’s a fast game, with simple math, and a whole lot of you snooze, you lose rivalry. If you can add up to 10, can tell the difference between red & blue, and have no problem stealing your own mother’s turn, then you can play. When Nick and I lived in Hawai’i, my Dad snuck a box of these into our luggage, which we dispersed among friends. Many a get-together resulted in heated WILD ZONE! matches across our coffee table. My dad named Nick the Vice President of International Sales and Distribution. Which means WILD ZONE FOR EVERYONE! So, if you want a free card game, hit us up! This is prime Monday FHE material we’re talking about here. Though if you’re a local neighbor of mine, just wait a few weeks until neighborhood Christmas gifts start making their rounds. 🙂 Why didn’t I think of that years ago?